Twitter is an excellent platform to engage with friends and follow your favorite industry experts. But if you want to use it to promote your business or your personal brand, you have to do more than just broadcast tweets every once in a while. It’s not enough to blindly share your new blog posts and product updates either. A great Twitter strategy requires proper analytics to understand what’s working and what isn’t. Are your Twitter posts generating any clicks? Is there any content format that’s performing better than others? Which topics do your followers love the most? At what time of day are your followers most active? Analyzing all these aspects of your Twitter performance is essential to measure your social ROI, so you know you’re not just wasting your time on tweets that don’t deliver. It also helps you identify what kind of improvements to make and where you’re falling behind. That’s why it’s worth investing in the best Twitter analytics tools to keep track of how your posts are performing. In this post, we’ve put together six of the best tools to analyze your Twitter efforts. Some of these tools will also help you identify trends and keep track of how your competitors are performing. All of this gives you a better idea of how to improve your Twitter strategy for sustainable growth. Guess you saw this coming—we made our own list! But there’s a good reason for it. Among its comprehensive suite of social media management tools, Sprout Social also offers a powerful analytics solution for Twitter. Pull up custom analytics reports for any date range to understand how your posts are performing. Get a clear overview of your overall impressions through these reports. Identify your top-performing content based on how many impressions, engagements and link clicks it generated. Or use the Sent Messages Report to dig deeper into the individual performance of each tweet. If you want more than a one-dimensional look at your performance, generate a Twitter Comparison Report to see how you stack up against the competition. Use the Twitter Trends Report to discover trending topics and hashtags across the platform. Shape your content strategy based on these trends to increase visibility and engagement. This report even helps you narrow down on influencers and brand advocates who are talking about you. Combined with other management and publishing features, Sprout’s Twitter analytics will give you an all-in-one solution to manage all your Twitter activities in one place. Union Metrics helps you visualize your social data through colorful graphics that are easy to understand even for novice marketers. It’s an analytics-only service that offers a comprehensive social analytics solution with Twitter analytics being one of the networks covered. You get to monitor your Twitter performance in real time and receive the latest performance reports to stay up to date. Its Twitter analytics offerings also include keyword listening, campaign reporting and competitor analysis. These features let you audit your overall performance on the platform and optimize it if necessary. Besides its paid analytics tool, the company also offers a few free Twitter analytics tools including the Twitter Snapshot Report. This gives you an overview of your brand performance on Twitter—perfect if you ever need a quick report for audits and presentations. There’s also the Twitter Assistant tool, which provides you with recommendations customized according to your account for free. You’ll be able to discover the best time to tweet, the best types of content to post and which hashtags drive the most impressions. This tool is an excellent addition to your social media marketing toolset if you’re using a free publishing service that doesn’t offer much in terms of analytics. The better you know your audience, the better you’ll get at engaging them. Tweepsmap is one of the best Twitter analytics tools to gain a deeper understanding of your Twitter community and how to better engage them. This tool lets you map your followers and identify key demographics including gender, language and profession. Use these insights to segment your community into relevant categories. This gives you leverage in creating content and campaigns that will appeal to different segments of your audience. Understand your Twitter performance in terms of how many followers you’re gaining (or losing). Identify your most influential followers if you ever need to launch an influencer marketing or brand advocacy campaign. While the free plan is solely focused on analytics, Tweepsmap also offers basic publishing features like the Tweet Scheduler for Premium users. Another analytics-only service, Keyhole lets you track conversations and understand audience sentiments around them. Get a better idea of how people on Twitter feel about your brand or your competitors by tracking keywords and hashtags. Keyhole is one of the best Twitter analytics tools to discover actionable insights that will help you optimize your performance. It helps you learn how to craft more engaging tweets and when you should share them to get the most engagement. You won’t even have to manually track your top-performing content and what time you posted them. This tool automatically recommends an Optimal Post Time for your account using visuals that are easy to process and understand. Keyhole also simplifies the process of deciphering your competitors’ Twitter strategies. It helps you keep track of their account growth rate and activity, as well as their engagement data. You’ll then be able to use these insights to identify which tactics are most effective in your niche and which ones you should avoid. Bluenod is another tool to conduct community analysis on Twitter. 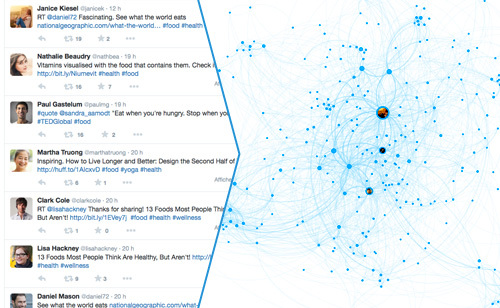 It helps you visualize the data behind communities that are relevant to specific hashtags or Twitter users. This makes it easier to understand these communities and their conversations. Find out the trending conversations they’re engaged in and which pieces of content are popular with them. The most outstanding feature of this tool is its influencer analytics. 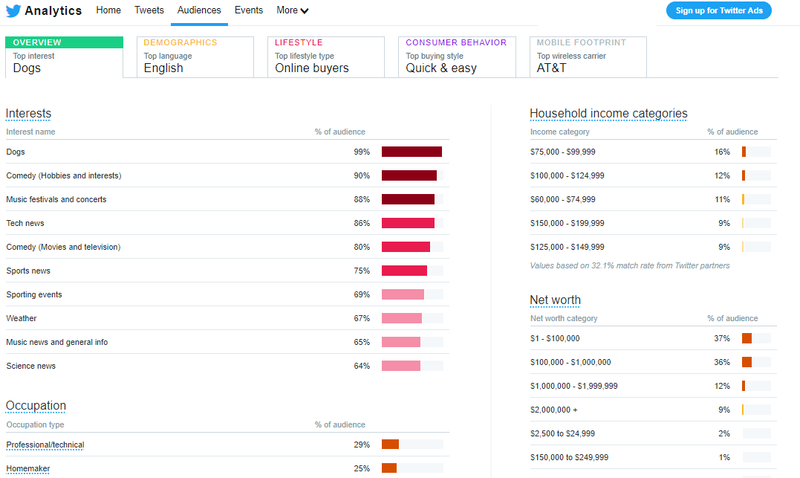 It is one of the best Twitter analytics tools that also provide an in-depth look at what influencers are talking about and where there are opportunities for your brand. In addition to identifying the most relevant influencers in your niche, it helps you understand them better. Bluenod analyzes each influencer’s most used hashtags to help you narrow down on their interests and motivations. So you’ll know exactly how to reach out to them and engage them for your campaigns. This tool would be an excellent addition to your social media toolset if you ever want to run effective influencer marketing campaigns and amplify your social strategy. 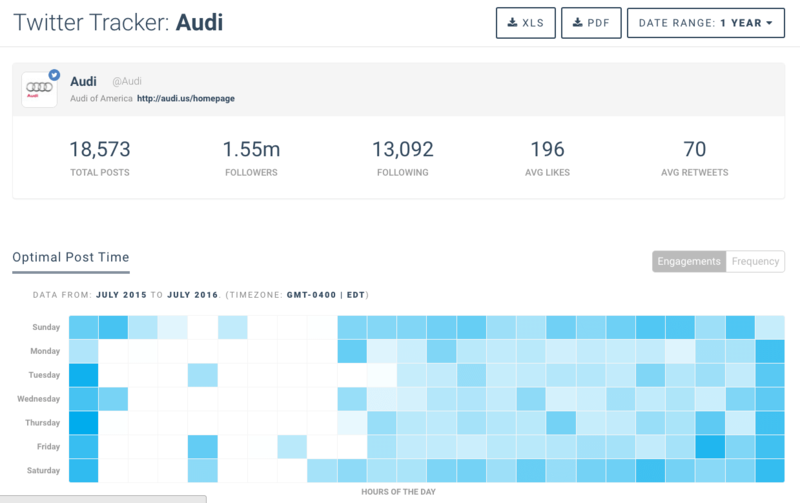 Most social media marketers would already be familiar with the native analytics dashboard on Twitter. It’s one of the best free Twitter analytics tools available, making it an excellent option for those who aren’t yet ready to invest in a premium solution. 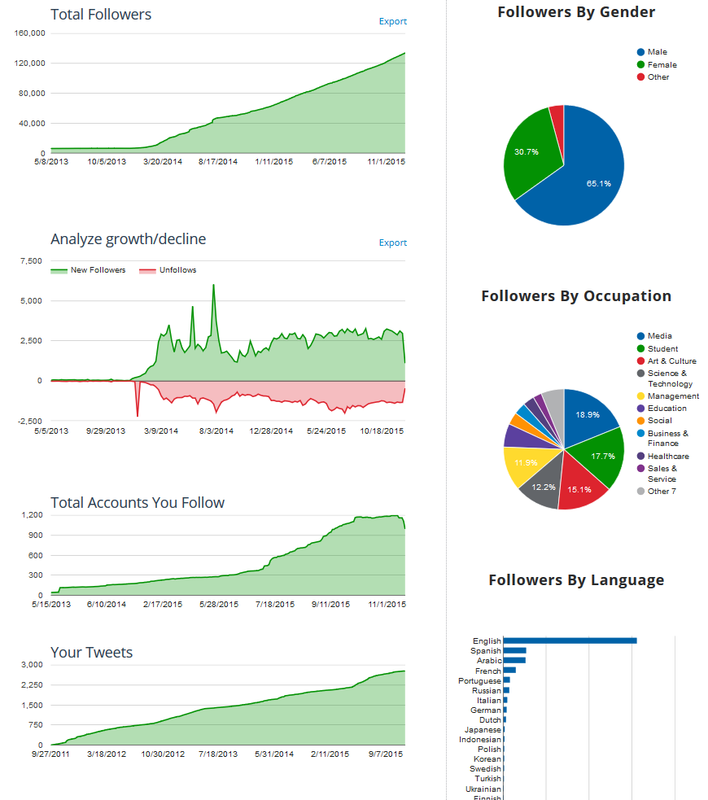 It gives you all the basic analytics data to understand how your tweets are performing. This includes an overview of how many impressions you garnered within a certain timeframe. So you’ll be able to keep track of when there were any spikes or drops in performance and what could have led to those changes. This dashboard also lets you keep track of other performance metrics like number of mentions and profile visits from this dashboard. Make the most of the audience demographics data to understand your community on a deeper level. Here, you will see the breakdown of your audience based on several factors such as interests, household income, occupation, buying behavior and interests. These insights will come in handy when you’re brainstorming content ideas that would appeal to your audience. You’ll also be able to use them for developing effective Twitter marketing campaigns that target specific demographics. There are tons of Twitter analytics tools to choose from—whether you’re willing to invest in a premium service or you need a free solution. But with too many options, it can be confusing to begin your search. Hopefully, this list helped you identify the best tools to focus on based on your needs. 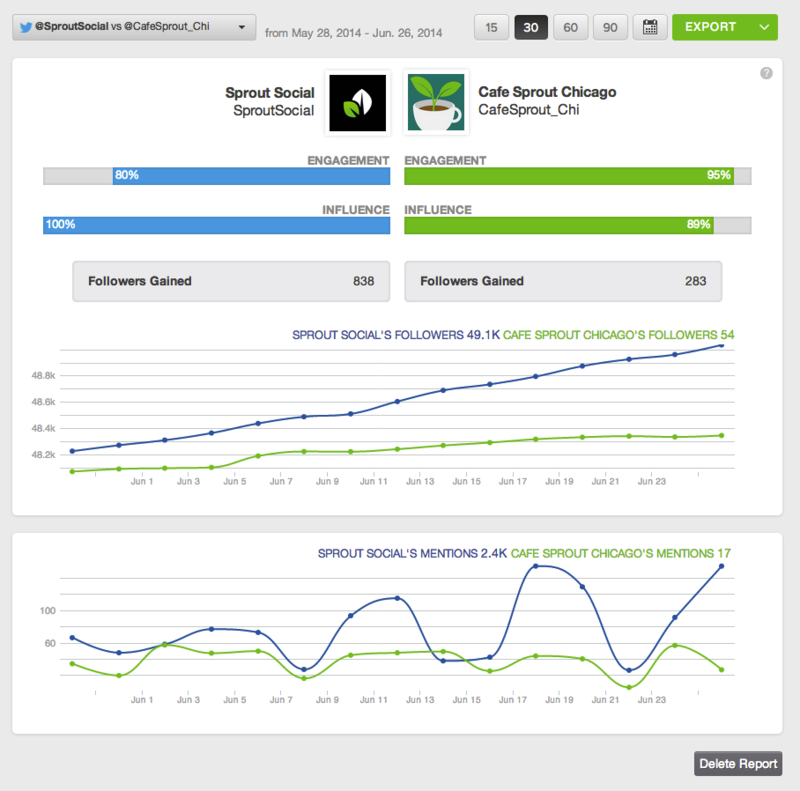 Sign up for a free trial to give Sprout’s Twitter analytics a test run. Jacqueline Zote: Jacqueline Zote is a professional content writer and editor. Her interests range from pop culture and mythology to content development and social activism. In her free time, she goes on food adventures and writes unrhymed poetry. Her short fiction has appeared in anthologies published by HarperCollins Publishers and Zubaan Books.